An international team of investigators has published new data that suggests that rising temperatures stemming from global climate change may increase the number of infants born with congenital heart defects (CHD) in the United States over the next two decades. Findings from the new study—published today in the Journal of the American Heart Association through an article titled “Projected Changes in Maternal Heat Exposure During Early Pregnancy and the Associated Congenital Heart Defect Burden in the United States”— suggest as many as 7,000 additional CHD cases over an 11-year period in eight representative states (Arkansas, Texas, California, Iowa, North Caroline, Georgia, New York, and Utah) could arise. CHD is the most common birth defect in the United States affecting some 40,000 newborns each year, according to the CDC. “Our results highlight the dramatic ways in which climate change can affect human health and suggest that pediatric heart disease stemming from structural heart malformations may become an important consequence of rising temperatures,” said lead study investigator Wangjian Zhang, M.D., Ph.D., a post-doctoral research fellow at the University of Albany. While previous research has found a link between maternal heat exposure and the risk of heart defects in the offspring, the precise mechanisms remain unclear. Studies in animals suggest that heat may cause fetal cell death or interfere with several heat-sensitive proteins that play a critical role in fetal development, the researchers say. 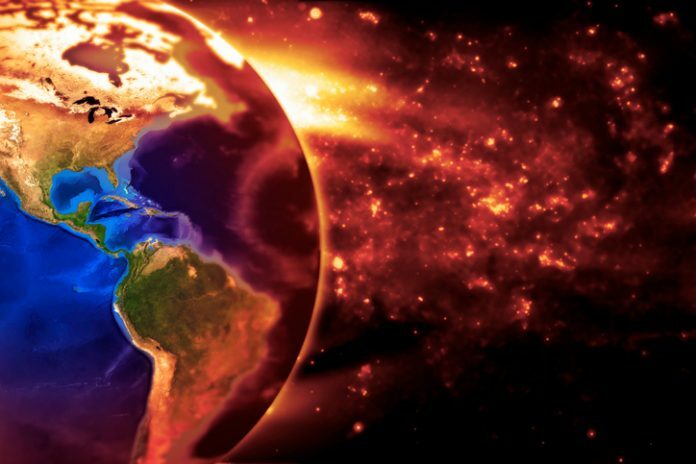 It is important to note that the estimates in the current study are based on projections of the number of births between 2025 and 2035 in the United States and the anticipated rise in average maternal heat exposure across different regions as a result of global climate change. The greatest percentage increases in the number of newborns with CHD will occur in the Midwest, followed by the Northeast and South. In their analysis, the research team used climate change forecasts obtained from NASA and the Goddard Institute for Space Studies. They improved the spatial and temporal resolutions of the forecasts, simulated changes in daily maximum temperatures by geographic region and then calculated the anticipated maternal heat exposure per region for spring and summer. For each pregnancy and region, they defined three exposure indicators: the count of excessively hot days (EHD) as the number of days exceeding the 90th (EHD90) or 95th (EHD95) percentile for the same season of the baseline period at the same region; the frequency of extreme heat events (EHE) as the number of occurrences of at least three consecutive EHD 90 days or two consecutive EHD 95 days; and the duration of EHE as the number of days for the longest EHE within the 42-day period. To obtain a parameter for CHD burden projections, the investigators used data from an earlier study, which gauged the risk of congenital heart defects based on maternal heat exposure for births occurring between 1997 and 2007. The researchers then integrated the heat-CHD associations identified during the baseline period with the projected increases in maternal heat exposure over a period between 2025 and 2035 to estimate the potential changes in CHD burden. “Although this study is preliminary, it would be prudent for women in the early weeks of pregnancy to avoid heat extremes similar to the advice given to persons with cardiovascular and pulmonary disease during heart spells,” concluded study author Shao Lin, M.D., Ph.D., associate director of environmental health services, University at Albany.